Before visiting friends and family all the way down in San Jose, we stopped by Beauty’s Bagel Shop for some sustenance for us and our hosts. I’d already had my morning shot of espresso, which was either the Burundi from Pacific Bay or some very old Starbucks Blonde Roast (aka backup coffee), but I couldn’t turn down a good one of Flying Goat. I got a egg and cheese bagel sandwich on an everything bagel as well as a few more bagels with cream cheese for the road. The sandwich was predictably yummy. 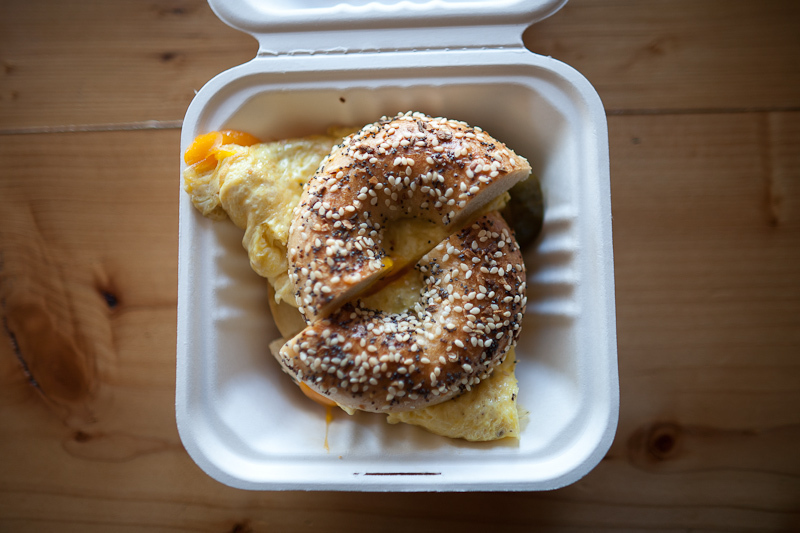 The bagels are a little flatter and smaller than a good New York style bagel, but have plenty of chew. 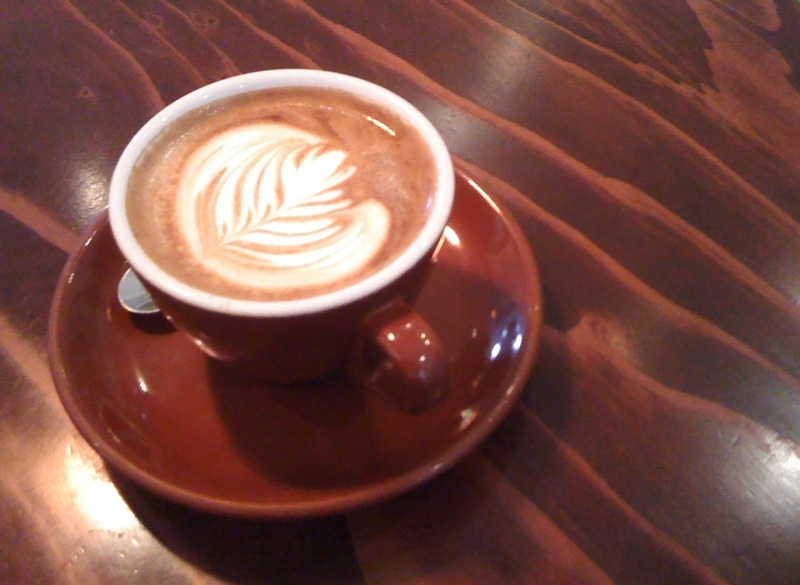 here’s my subjective ranking of the best espresso/coffee in the san francisco bay area, complete with a google map. key: more crema = better. empty cup = not so good. Sorry about the funky anti-aliasing. farley’s (san francisco/oakland/emervyille, farley’s blend from sunshine? in san leandro) Recently had a not good one from the 65th st emeryville location. doh. none yet. Maybe I have a high tolerance? credit for working the google maps/wordpress hack: http://digwp.com/2010/01/google-maps-shortcode/ if you want to try this, don’t forget to add the &embed at the end of your link. 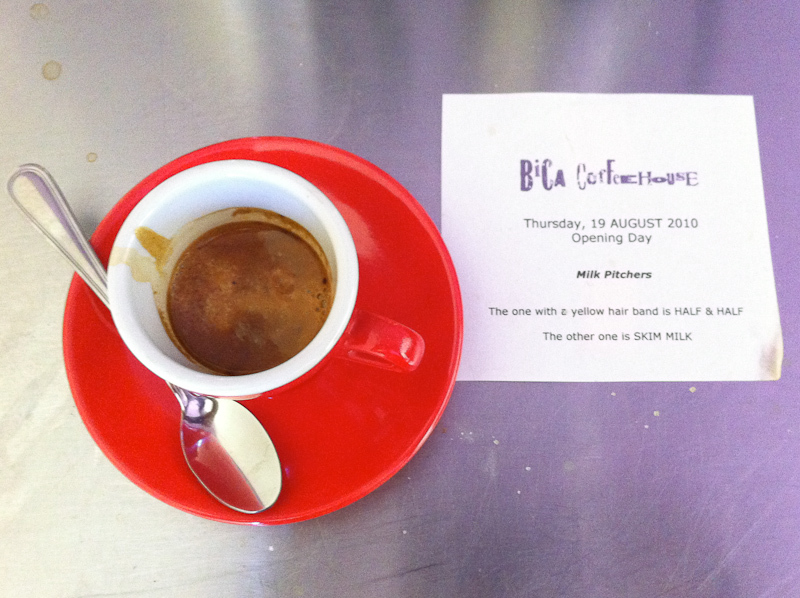 Bica Coffehouse (5701 College Ave, Oakland) just opened today across the street from Rockridge BART. 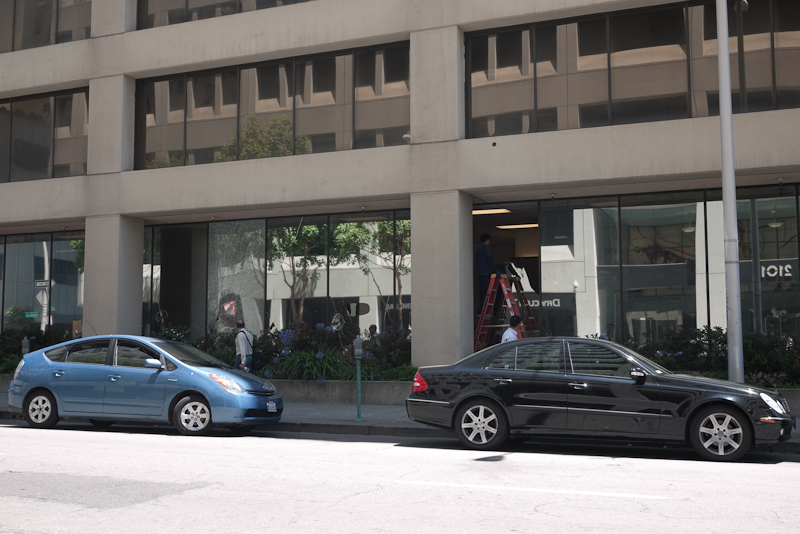 It replaces Cafe Lyon, which closed last May. 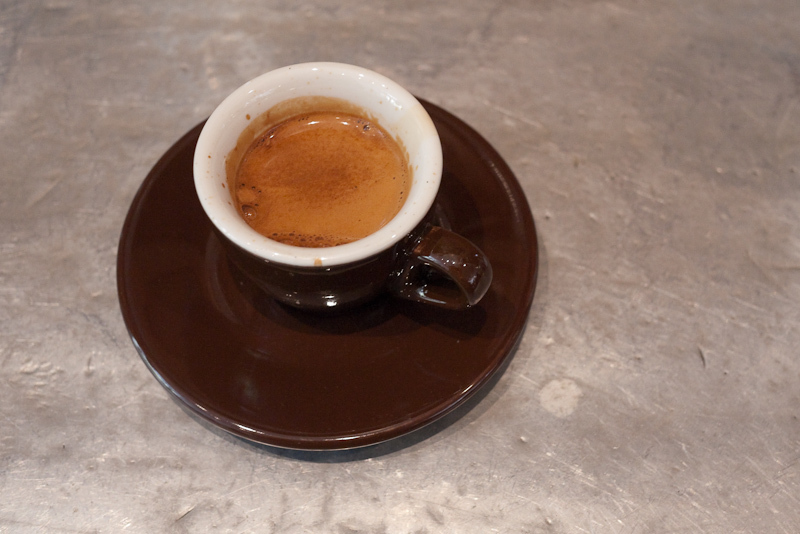 I had an espresso made with coffee from De La Paz’s 14th St. Espresso blend. It was nice and brewed well on their La Marzocco Linea. A bit bright, citrusy and a little sweet. They plan on rotating their coffees between Flying Goat, Ritual, De La Paz, Verve and Barefoot about every 2 weeks. In addition to coffee, they also offer teas and a few different types of pastries from Bisbane Bakery. 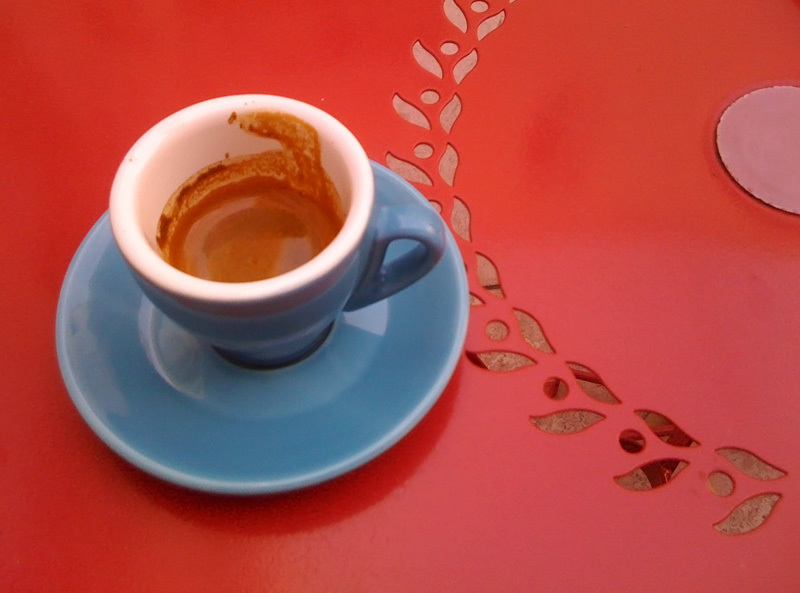 the ristretto was predictably enjoyable – bright and with a bit of sweetness that lingered. I also had a sandwich with meat from boccalone and some cookie to go with. the space is nice – well-lit with natural light but pretty small – there’s a cupping area and then more space in the back for bags and bags of coffee bean storage and roasting. Local 123 is just south of University Ave on San Pablo – near Lanesplitter and Acme. 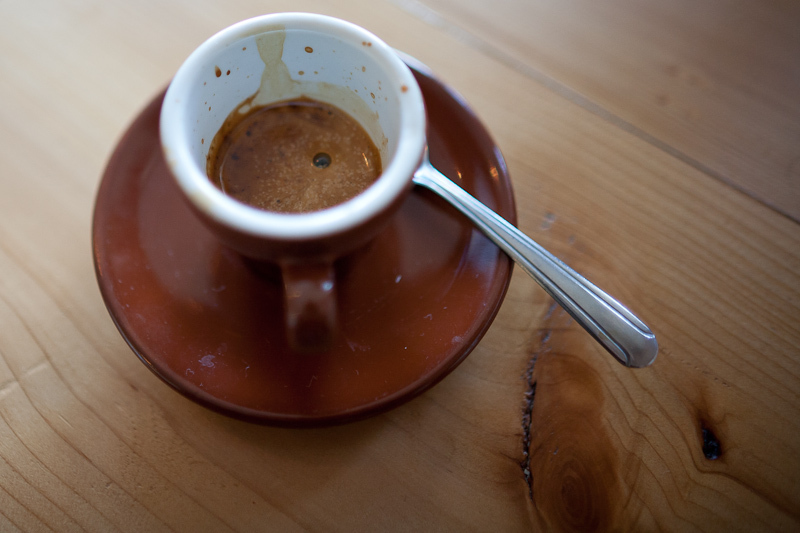 local 123 brews flying goat coffee and they made a tasty ristretto. I don’t remember details of the taste other than the fact that I really enjoyed it. the two people working there who we interacted with were super friendly and the barista offered another shot if this one wasn’t to my liking. the space is nice, with big prints of tasteful and uncheesy square-formatted naturey photos and a nice outdoor seating area. they pull bottomless shots here from a la marzocco. 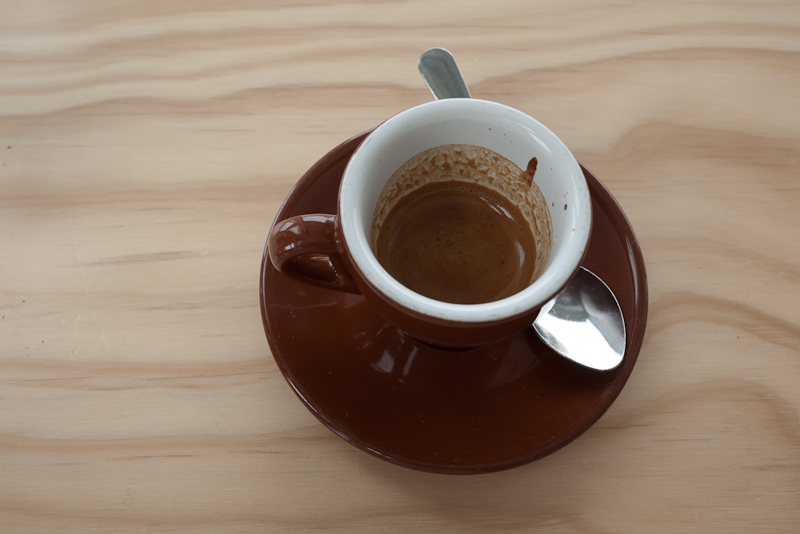 The espresso was not bad, but not as good as I’d enjoyed from local 123 and blue bottle. compared to the two shots above, this one tasted a little staler and darker. still not bad though. they use beans roasted by sunrise coffee in san leandro. I liked their interior and the magazine selection and the friendly person at the counter who took my order. I got a cold turkey sandwich – it was good. there’s fun art on the walls and deception by blackalicious was playing as I picked up my sandwich. 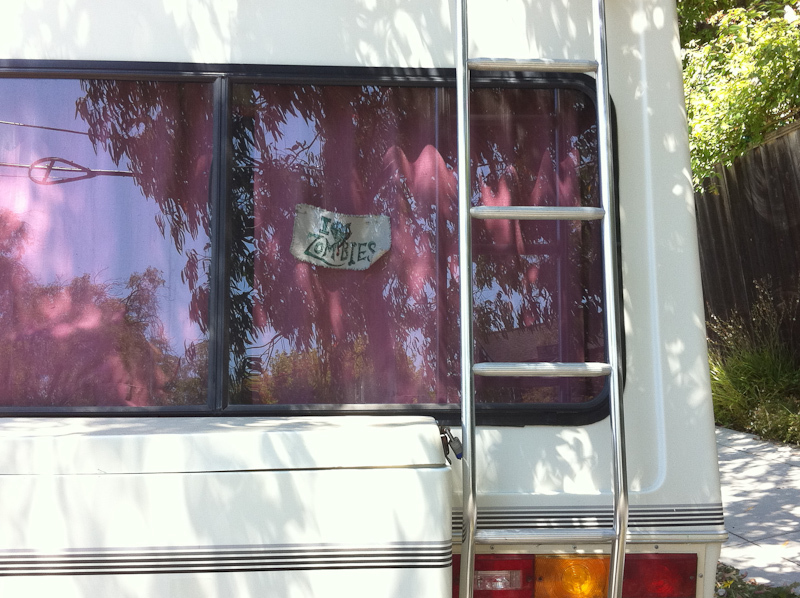 it was a monday and the bakesale betty nearby was closed for the day. I wonder how much more business area cafes receive on mondays and if there’s a correlation. 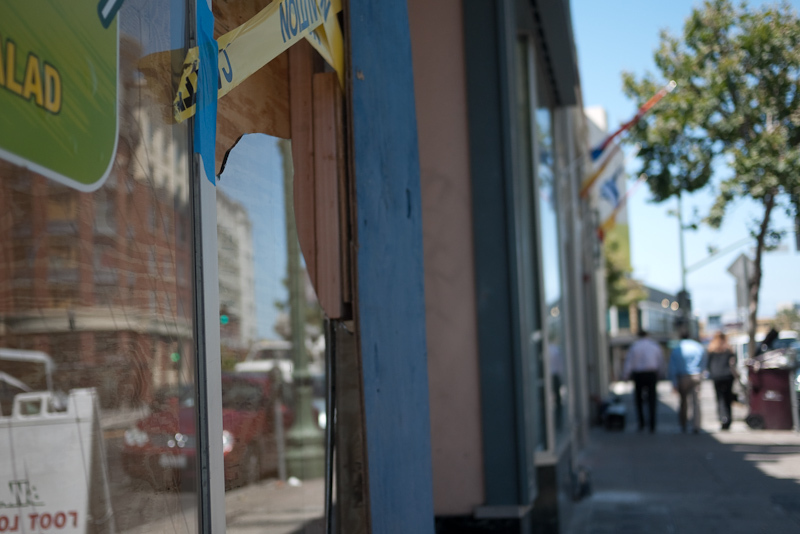 the windows of the subway next door were still broken as a result of the opportunistic rioting that took place after the mehserle verdict was announced.